Designed by like-minded riders craving an all-in-one solution for the to-and-fro, the REAX Traveler Backpack works for you and never against you. 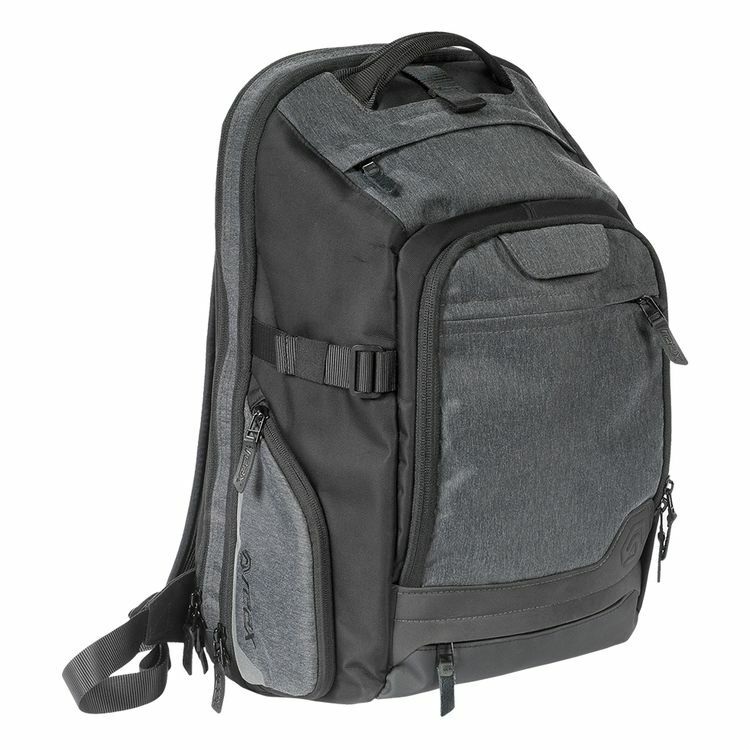 The main compartment features a rummage-proof clamshell-style opening that allows you to access the bag's full capacity while simultaneously eliminating the need to reach in and fumble around for your necessities. The Traveler's rear compartment is thin and felt-lined with two padded slots appropriate for a laptop up to 17", tablet or e-reader devices. A multi-purpose front pocket houses an organizational compartment, a zippered quick-access pocket and a discrete place to stow the pack's helmet-securing compression strap when it's not in use. The zippered quick-access pocket (located on the exterior of the front pocket) features a simple, yet effective, security loop which prevents the zipper from being slid open discretely. Simply slide the zipper pull through the security loop and voila: pick-pockets foiled! Securely tethered by a detachable buckle within its own storage pocket, the Traveler comes with a rain cover that utilizes two additional attachment toggles to ensure that, even at speed, your items are safe and dry. Mirroring the reflectivity featured on all four sides of the backpack, the rain cover also features three points of reflectivity to help keep you visible in situations with compromised visibility. Finishing touches like a super spacious and accessible right-side cell phone pocket, a helmet-securing strap that doubles as a bottle opener, a felt-lined pocket for your shades and an ultra comfortable molded EVA back panel further solidify the Traveler's superb attention to detail. 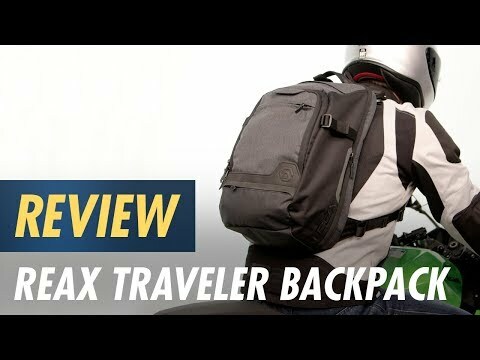 If the REAX Traveler Backpack could somehow also wash your bike and change its oil, it would truly do it all.